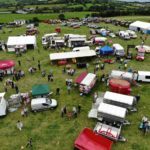 Castleblayney Show provides free car parking for all its patrons. 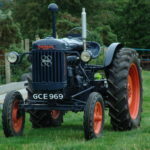 Car parking facilities are located in close proximity to the show grounds. We provide car parking facilities for people with mobility problems which are found close to the main entrance of the show field and also provide disable parking close to the main events were possible. Stewarts are contactable on the day to help ensure special parking is located and facilitated to those who require it. Please approach Stewarts for assistance on the day if necessary. 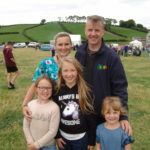 Castleblayney Show provides a variety of food to suit all plates and tastes – whether it be afternoon tea, dinner, take-away or crepes it is all catered for on site. Horses and ponies are one of the main attractions at Castleblayney Show with an ever increasing number taking part in the various competitions and classes every year. We have a large number of qualifiers in this area which attracts entries from near and far. 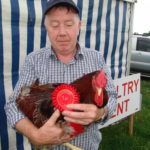 Castleblayney Show has over the years built up a large variety of Trade stands which caters for all interests, whether it is the traditional agricultural goods and machinery to arts and crafts, jewellery, linens, foods and toys there is something for everyone to browse and enjoy. As the show has grown so too has the number of commercial trade stands wishing to exhibit their goods and services which afford them some extra marketing throughout the surrounding area and further afield. Business stands are eager to return year after year and this is evident by the increasing number of visitors attending the show each year. For information relating to trade stand application please contact the show secretary or download the Trade Stand application Form and return to Show Office. * Please note that there is a different application form for food and beverages which is also available for download on this web site.